Festivals in Indonesia are diverse and colorful. These festivals attract lot of tourists from all corners of the world. The Wayang Kulit (Leather Puppet Shadow Play) held in December is one of the most popular events here. 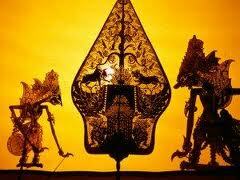 The Wayang Kulit (Leather Puppet Shadow Play) is popular in Bali and different places in Indonesia. The word ‘wayang’ means shadow or imagination and ‘kulit’ means skin and denotes to the leather from which puppets are made up of. The Wayang Kulit (Leather Puppet Shadow Play) besides being a form of entertainment is also the bearers of culture. These Indonesian shadow plays are regarded as one of the earliest forms of animation. The culture of Indonesia is reflected in the plays that act as a carrier of myth, morality play, and form of religious experience rolled into one. These shadow puppets are conceived to possess great spiritual power, and are "brought to life" by special ceremonies executed by the puppet master and story teller who is popularly known as dalang. The dalang is a man with versatile talents. He must have a repertory of hundreds of stories, play the music, have an elan for showmanship, execute the essential sanctified rituals, and also know how to make the intricate, flat, leather puppets. The stories that are narrated in the Wayang Kulit (Leather Puppet Shadow Play) are usually mythical & morality tales. These stories generally reflect on the rich, colorful and diverse culture of Indonesia. The dalang with the help of the shadow puppets narrates the story line and beautifies the universal themes with the means of improvisational digressions comprising the local village's gossip or occurrences. The asides are generally used to make the audience laugh. The main aim behind the Wayang Kulit (Leather Puppet Shadow Play) is to educate and entertain the audience at the same time. The Wayang Kulit (Leather Puppet Shadow Play) is a very colorful and popular event not only in Bali but throughout Indonesia. You will certainly enjoy it, if you watch it.